Automatically turn on your desk lamp when you sit down at your computer. 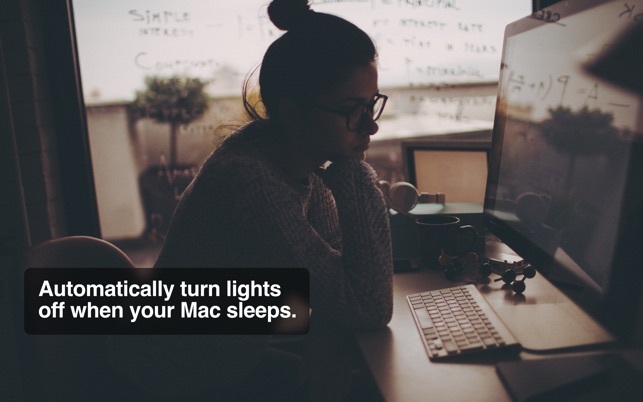 Walk in to your office at night to grab something — just smack the keyboard to turn on the light. Walk out of the room, and trust that your computer will turn the lights off when it goes to sleep. 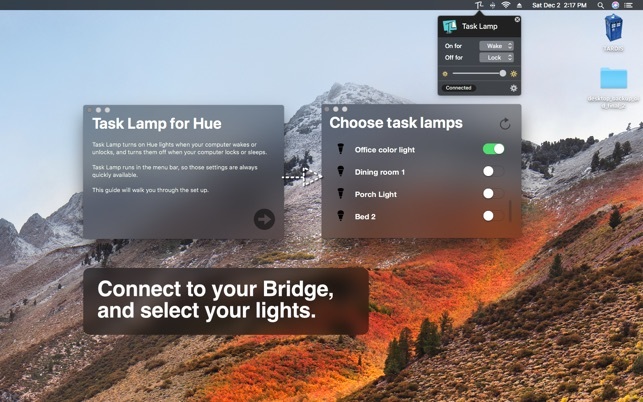 Task Lamp connects to your Philips Hue Bridge and smart lights, and turns them on and off when your computer wakes or sleeps. Or when it locks or unlocks; it's up to you. Studies show that working in a well-lit environment helps maintain focus and prevent eye strain. 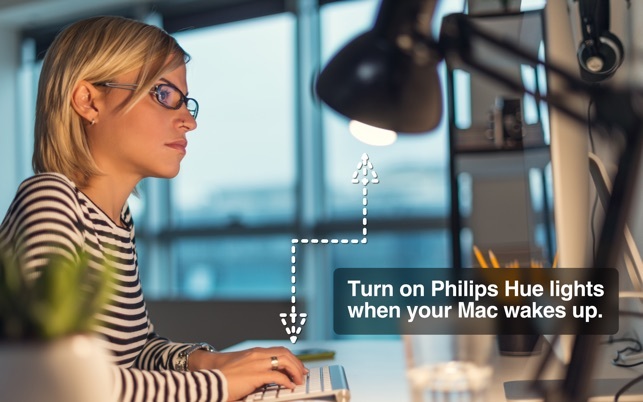 Let your smart lights help you work smarter, by automatically ensuring a well lit workspace when you use your computer. 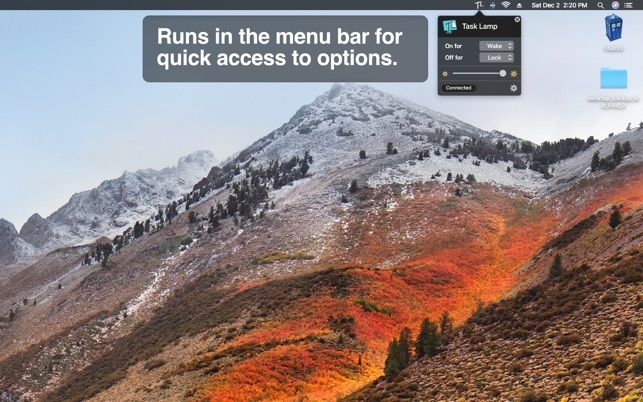 - Runs quietly in the menu bar, out of the way, but easy to access. - Quickly adjust brightness of your selected task lamps. - Lights keep their state (maintaining colors and scenes set in other apps). - Control any number of lights connected to your Bridge. - Select specific Bridges in multi-Bridge networks. - Supports both light and dark macOS themes.